Solangon is 42 years old, a resident of Sitio Langka, Balao, Abra de Ilog, Occidental Mindoro, married to a woman of the Iraya tribe and has 2 children. Alleged NPA. Arrested on July 9, 1999 by 408th RMG without any Warrant of Arrest. Immediately blindfolded, handcuffed and brought to Camp San Jose in Occidental Mindoro. Charged and convicted of Kidnapping with Murder and with Ransom at Branch 44, Mamburao, Occidental Mindoro. Sentenced with Death Penalty but lifted at GMA’s time. On July 2002 his case was appealed to the Department of Justice and immediately his case was classified as political offence and subsequently granted release by the Office of the President to be Released on Recognizance. The Vice Mayor of Abra de Ilog was to be his custodian. 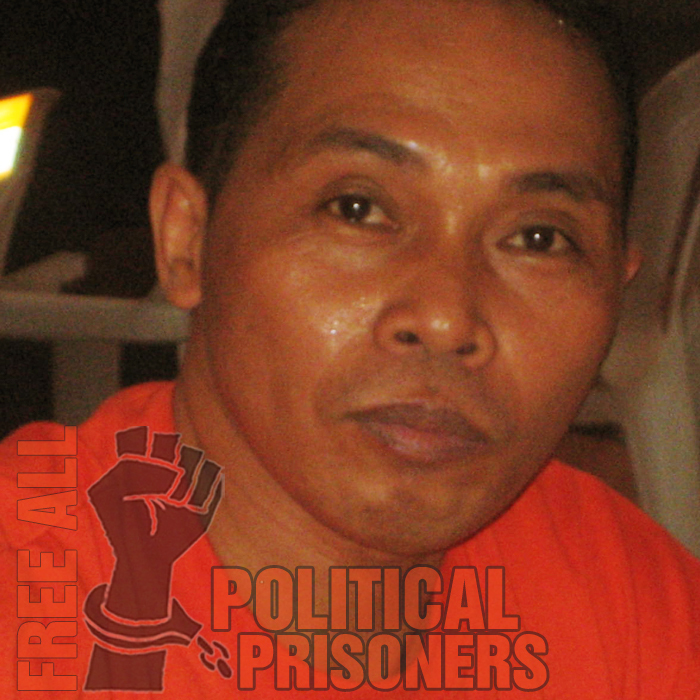 His relrease was part of the 32 political prisoners promised release based on the OSLO Joint Statement between NDFP-GRP agreement related to the Peace Talks in 2004. 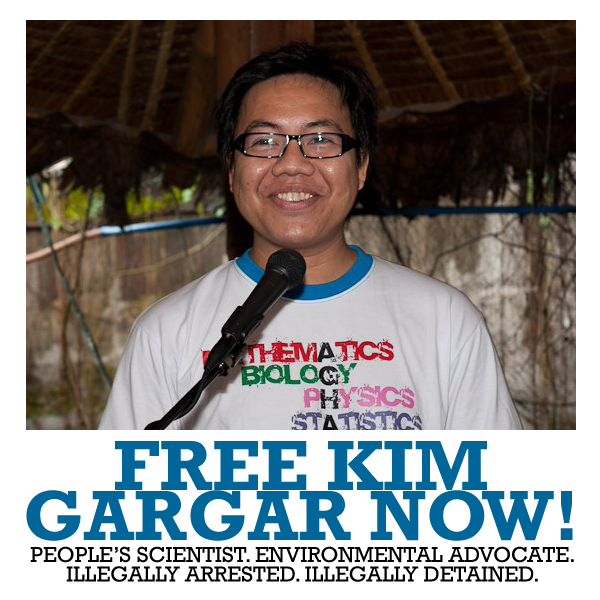 He was one of the 9 individuals covered by the release order of GMA in 2001. Unfortunately up to this day he is still in jail. The supposed release never materialized. He has languished in jailed for 12 years. While in jail he uses his skill as medic and cures simple ailments, apply acupuncture and give para-medical services to inmates at the NBP, Maximum Security Compound. He is also a lay minister at the IFI church and Chairman of the Pastoral Council of the church. He suffers from constant headache and vomits frequently. His family seldom visits because of distance. They live in far away Occidental Mindoro.